Valentine’s Day is such a fun holiday! Time to spread a little handmade love! 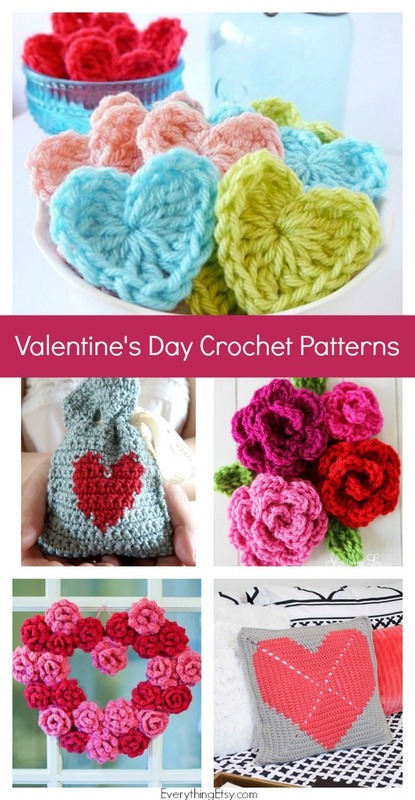 Use one of these free crochet patterns for Valentine’s Day to whip up a few easy projects that make fantastic gifts. Many of these ideas are great for beginners. Create anything from a simple heart to a bouquet of roses. 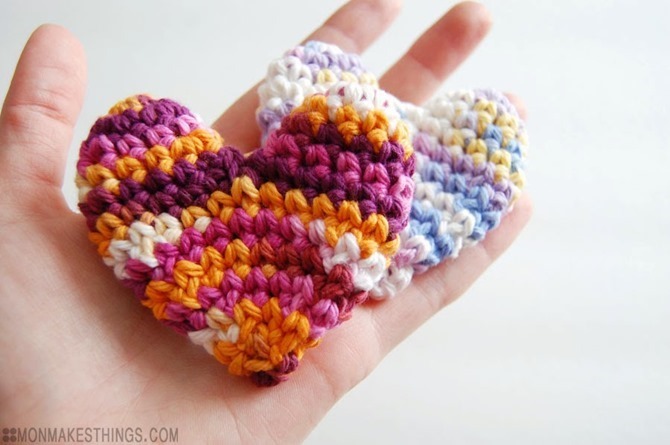 Let’s start with a simple heart pattern! 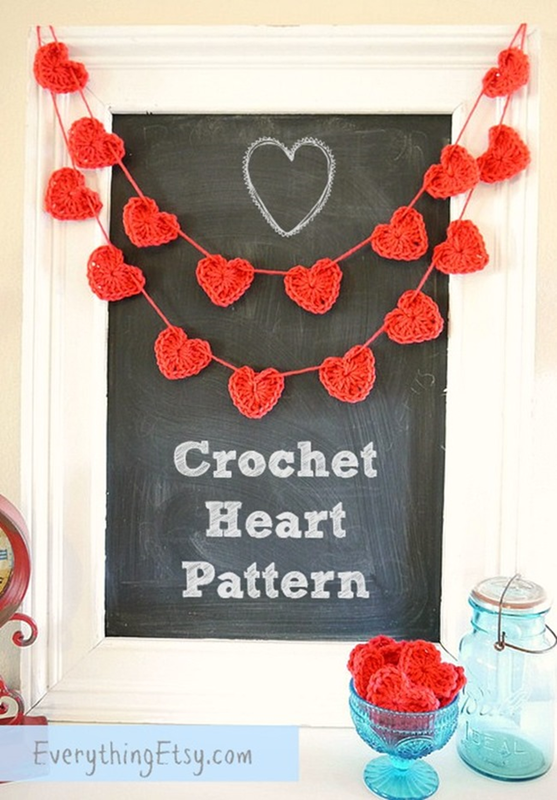 This easy crochet heart pattern is a great way to top off gifts or make a decorative banner. Add a bunch to a bowl to share with loved ones that visit. Spread a little love! Check out these puffy hearts for a really cute pillow box Valentine’s Day gift box! 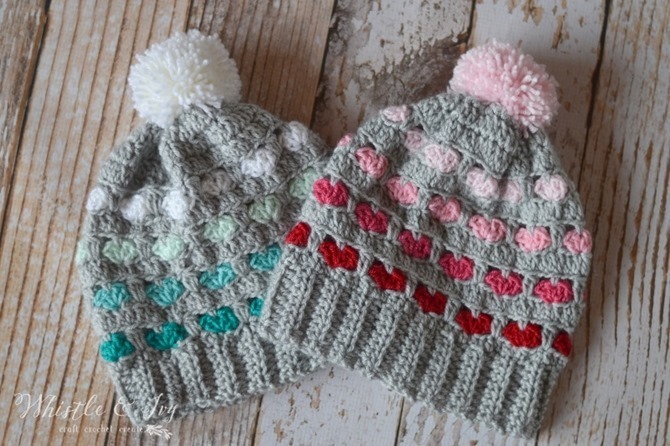 Whistle and Ivy created this sweet heart slouchy hat pattern for you to share this Valentine’s Day. Cute! 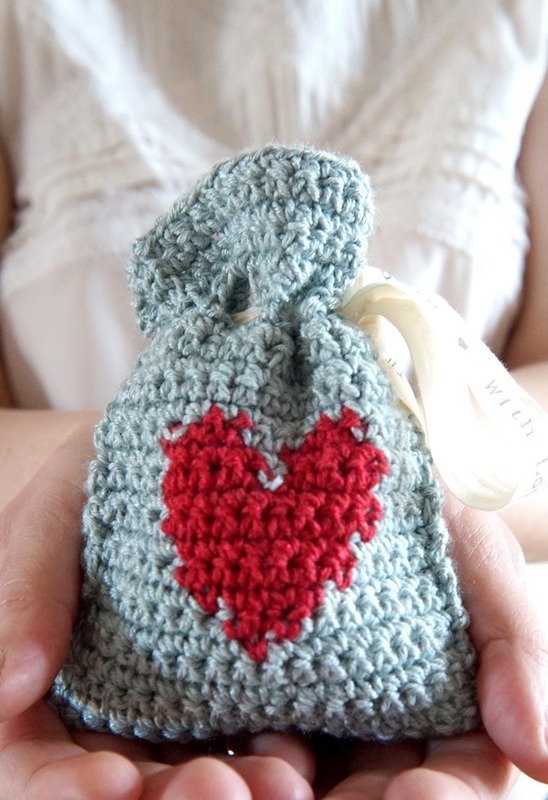 These little crochet heart gift bags are a super sweet way to share a little love! Little Doolally has a free pattern just for you. 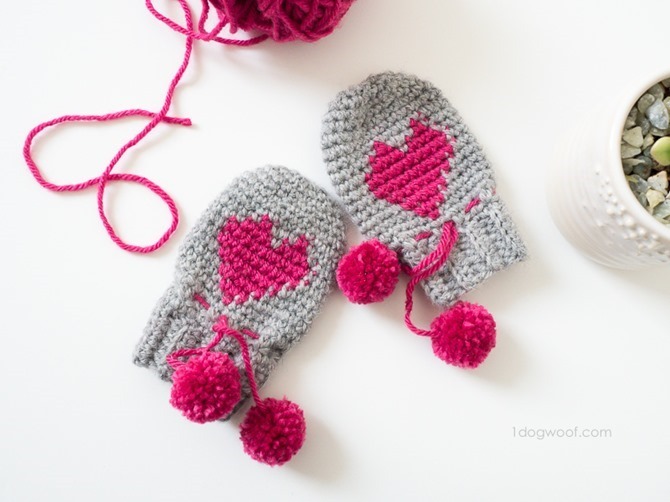 Make heart mittens…perfect for your little ones! 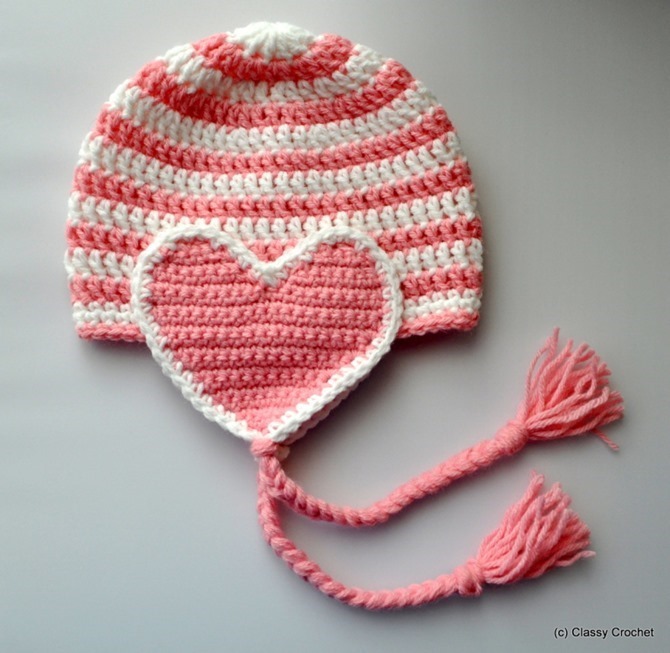 This heart flap crochet hat is a quick project! 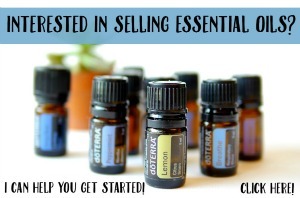 What a cute little gift idea! 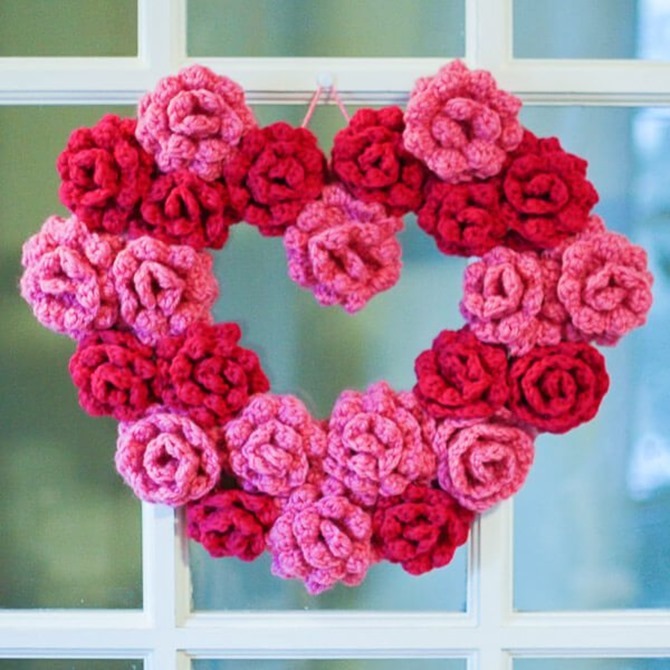 Create a crochet rose heart wreath from Petals to Picots. What a beautiful way to decorate your front door. 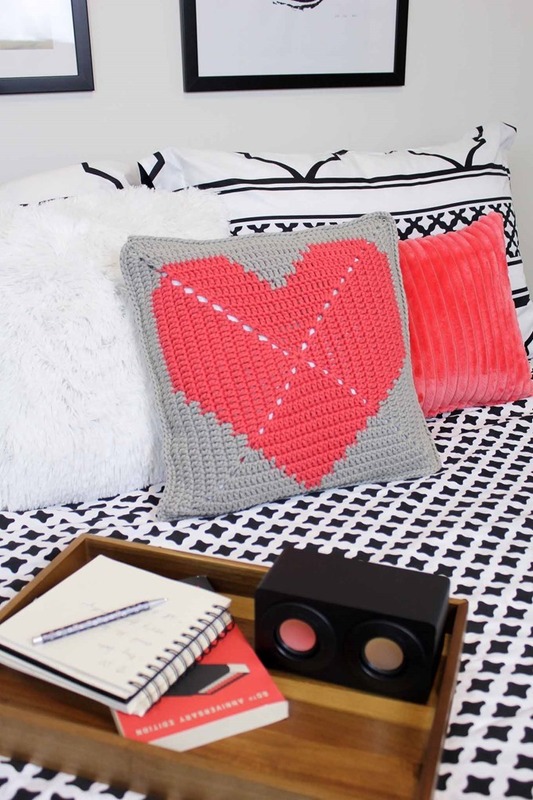 Crochet a pretty crochet heart pillow or two to decorate you home. This is a great way to bring a little holiday cheer into your living room without going over the top. 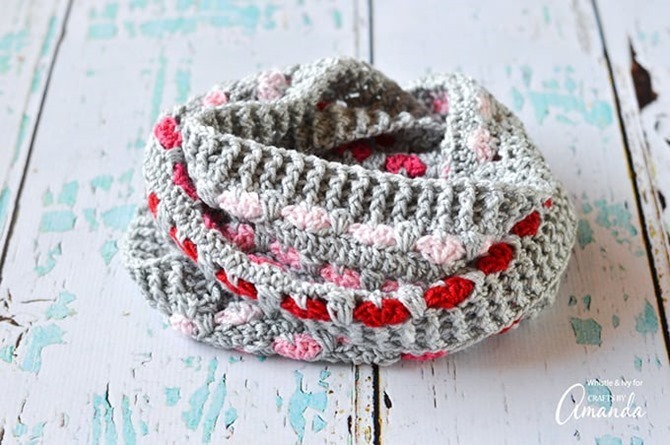 You’ll love this infinity scarf pattern with tiny hearts…sweet! Awww… isn’t this conversation heart garland adorable??? Don’t forget to add a little card to your gift! 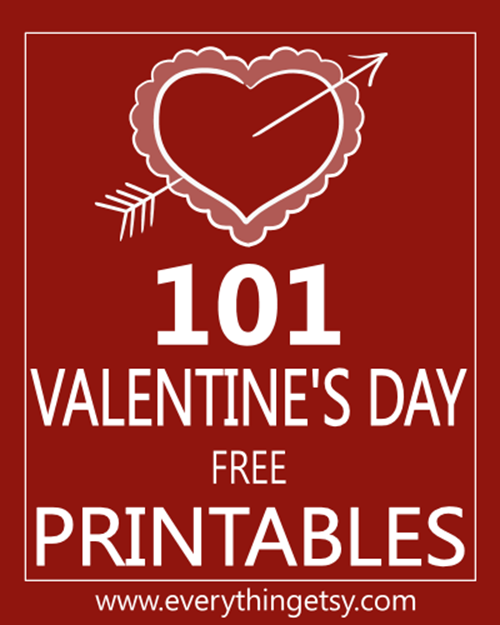 Check out my list of 101 Valentines Day Printables for just what you need. You’ll find 101 Valentine’s Day Projects right here…plus don’t miss our tutorials gallery with lots of DIY gift ideas! This has always been my favorite easy rose pattern from Skip to My Lou. Love it! 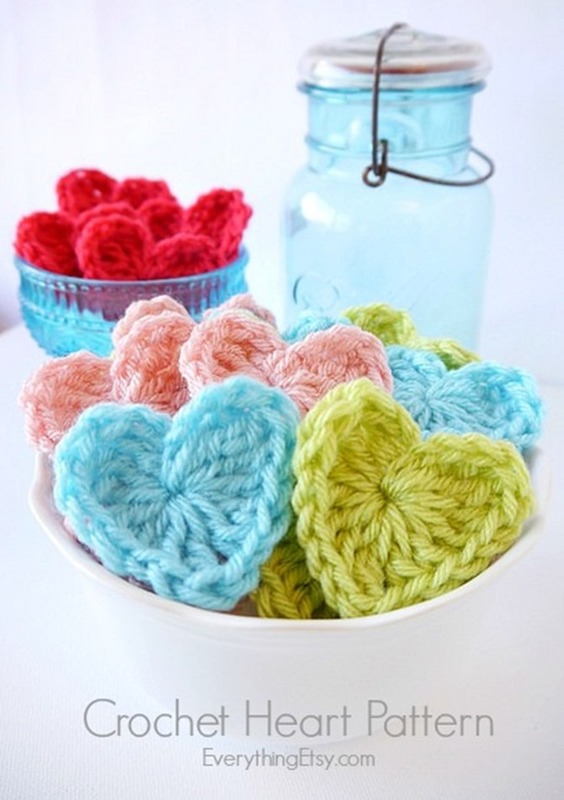 You could try making this heart bouquet using a simple pattern from Anne Marie. Have fun with these patterns! 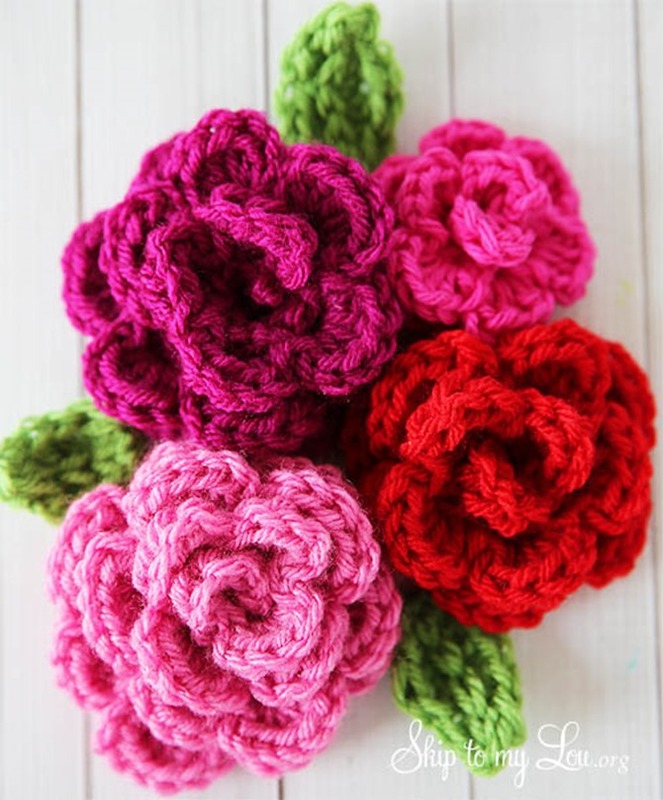 I love how there are so many creative ideas and free patterns available online. Valentine’s Day is a great holiday that doesn’t have to break the bank. Many of these ideas can be made from your yarn stash. Who says all hearts need to be in pink or red? 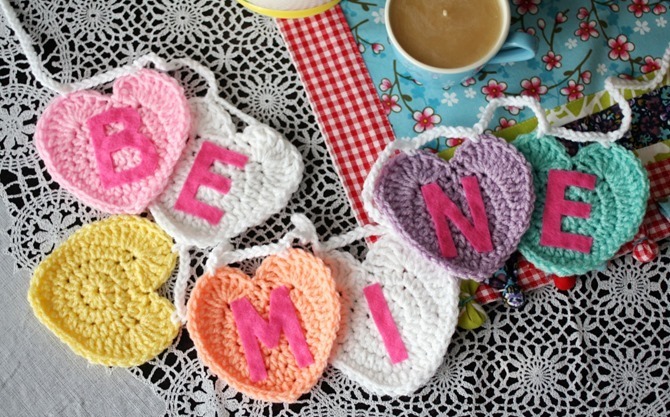 Do you have any Valentine’s Day projects in the works? I’d love to hear about them. 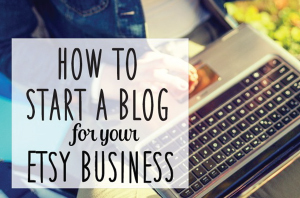 If you want to take much from this piece of writing then you have to apply these strategies to your won blog. What a great round-up, Kim! 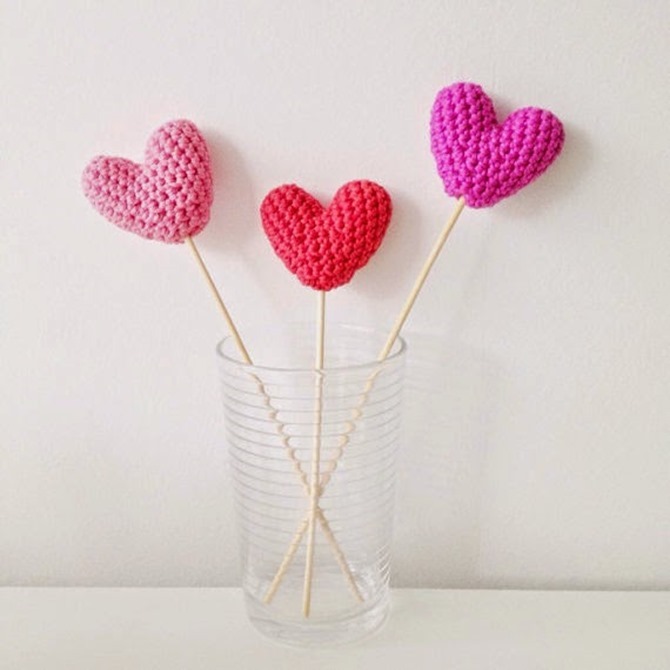 I love to crochet for Valentine’s Day.